December Holiday Hours for Morpheus Theatre! Our usual office hours are Monday – Friday 11 – 4pm. For the Holiday Season we will be closed on the following days: Dec 22, 24, 25, 26, 28, 31 & Jan 1. 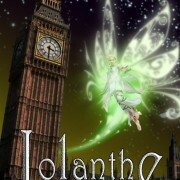 Morpheus Theatre is pleased to announce the cast of Gilbert & Sullivan’s Iolanthe. 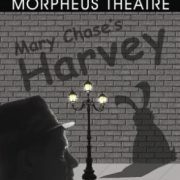 Tickets Now on Sale for our Harvey Reunion! Tickets: Adult $20, Student/Senior $15 **Discounts for Season Ticket Holders – call to book! This is a reunion production, bringing back together the cast and crew from our January 2010 production. When Elwood P. Dowd, a good-natured, mild-mannered eccentric, starts to introduce his imaginary friend- Harvey, a six-and-a-half-foot rabbit- to guests at a society party, his sister Veta, has seen as much of his eccentric behaviour as she can tolerate. She decides to have him committed to a sanitarium to spare her daughter, Myrtle Mae, and their family from future embarrassment. Problems arise; however, when the doctors commit Veta instead of Elwood, but when the truth comes out, the search is on for Elwood and his invisible companion.